These six plus photos of Mr J are good example of how well parents have prepared for the shoot. 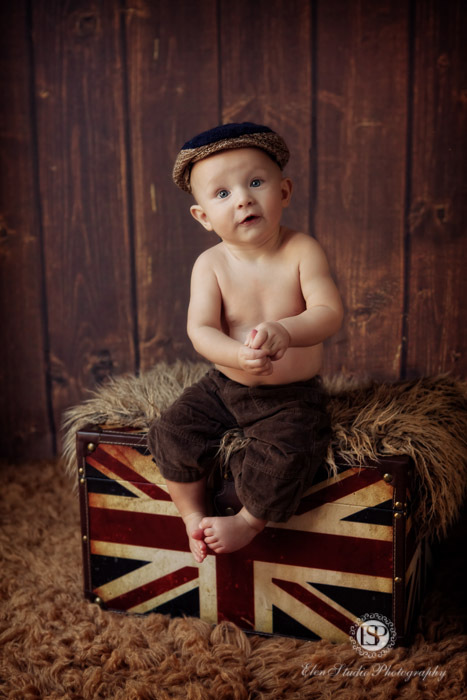 At our Derby baby photography studio we always welcome when mum and dad bring their own special clothes to have a special theme. We started from simple shots of Mr J cap and jeans with braces. He liked just to sit, to smile and to look around. 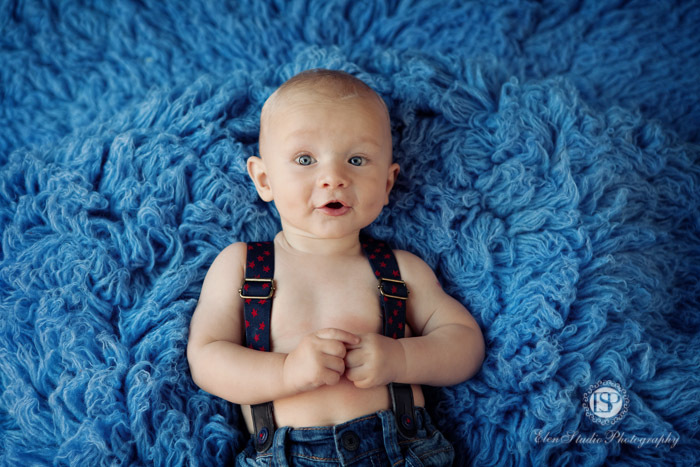 The blue theme for these first pictures always suits little boys. 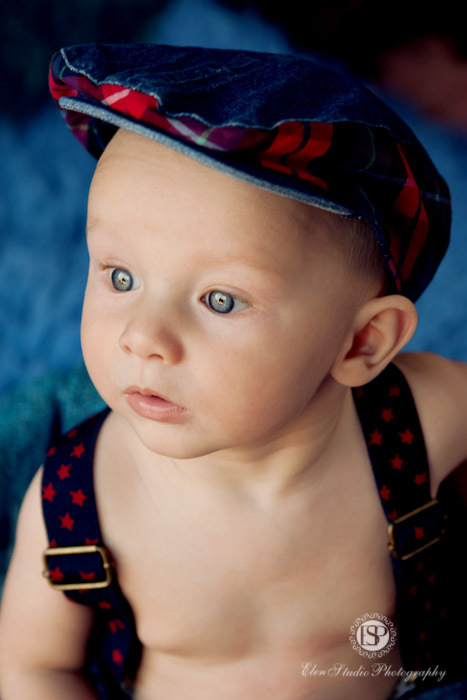 It was such a pleasure to photograph little Mr J – look forward to seeing him at his Cake Smash shoot!